When they first came out, Quartz countertops were very “sparkly”, very artificial looking and lacked character, since they were designed to look like granite, that was popular up until the late 90’s early 2000’s . Much has changed in terms of colors, and design and quartz now have the same elegant look as natural stones like soapstone, marble and quartzite. Quartz is a great material for high-traffic areas due to its natural resistance to scratches and stains. The best quality quartz from the main manufacturers like Caesarstone, Cambria, Zodiaq and Silestone are nonporous and hygienic, stain and scratch resistant, and do not require sealing. While natural stone slabs are mined, quartz countertops are engineered meticulously in a factory. Quartz countertops are approximately 94% ground quartz and combined with polyester resin, color pigment, and occasionally recycled glass or metallic specks for appearance. 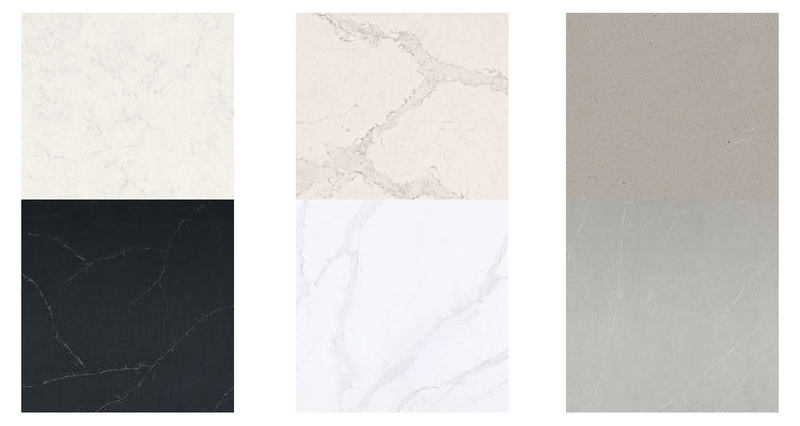 Whether you’re after the matte look of soapstone, texture of slate, elegance or marble, or glassy sheen of quartzite, there’s a quartz countertop for you and we at M.Teixeira Soapstone are certified fabricators of the top quartz brands.